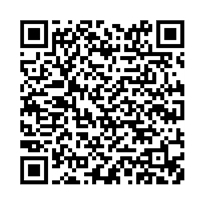 Read eBooks online | World eBook Library - eBooks | British Sailors in Indian Stinking Jails! 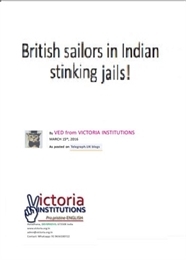 Title: British Sailors in Indian Stinking Jails! can mention something from my own experiences. I started by schooling in a Cambridge-University certification school (I think), wherein initially the teachers and priests were more or less Anglo-Indians of the English variety. (There is the Indian variety of Anglo-Indians also. The first version has vanished from India now). However, after around after around one and half years of such schooling, the Anglo-Indian group vanished and a native converted-to-Christian priests took over the management. A group of British sailors/veterans are in an Indian jail. I do not know if they have been freed, as yet. This news came to my attentions a couple of months back, even though they have been in jail for a few years now. This was a news, which I had been expecting for quite some time. In fact, when the BPO revolution commenced, I had the gut feeling that these kinds of happening are in the offing. ‘India’ cannot be understood from pristine-English, and ‘Indians’ also cannot be understood from pristine-English. It would like one animal trying to understand another animal, whose basic mental triggers are not clear or understandable to the first animal. So much is the difference. 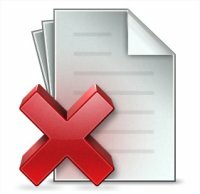 What comes into English as ‘India’, ‘Indians’, ‘Indian entrepreneurship’ etc. are mere translated-into-English versions, in which most of the Satanism remains hidden in translation. The very fact that Indian languages have a very evil feudal structure by which human beings can be literally flipped from a height to a stinking depth by means of a single word cannot be understood in English at all. No academic studies have been able to mention this. Even when it is mentioned, those who know it simply make funs of the contentions and lead the theme astray into disarray. The total fault is with Clement Atlee and his insane coterie who destroyed the aspirations of millions of peoples in the Indian subcontinent, when he handed them into the enslavement and indoctrination of traditional overlords, from whom they have had around 150 years of escape.